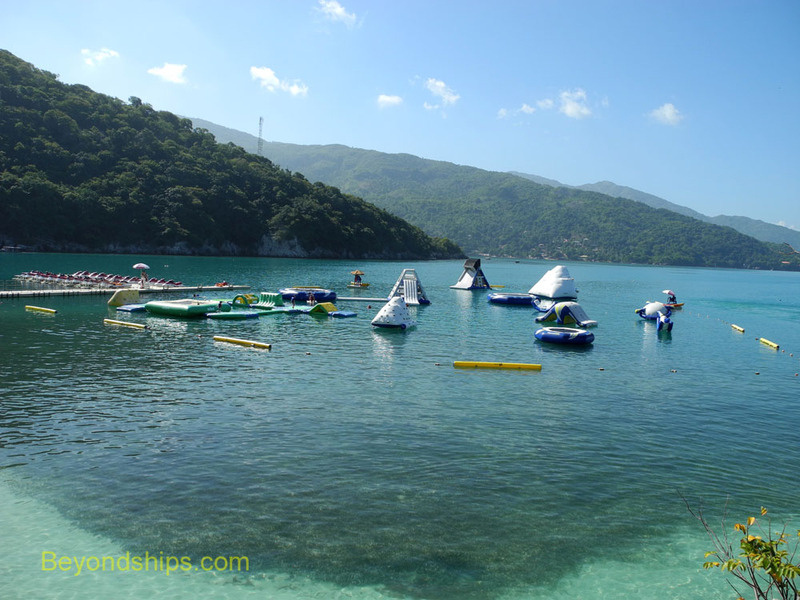 Guests at Labadee have a variety of options when it comes to physical activities and sports. 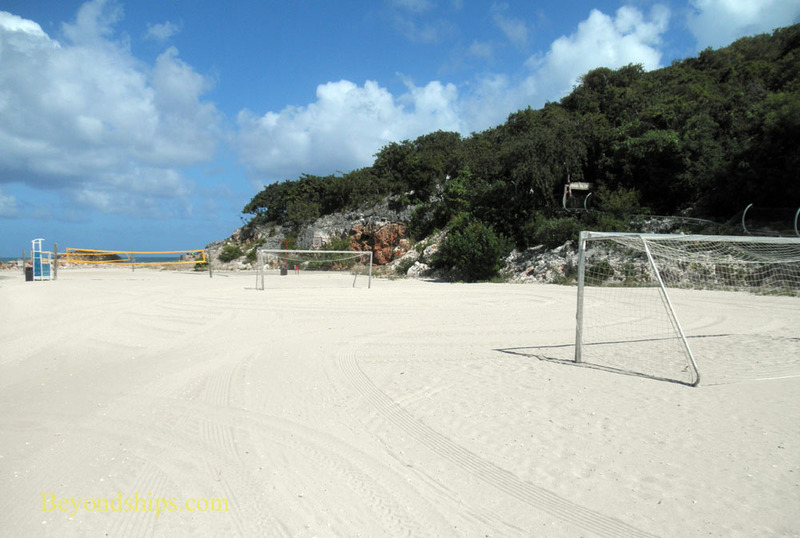 Some facilities can be used on an independent basis while others are organized by the resort and may involve a fee. 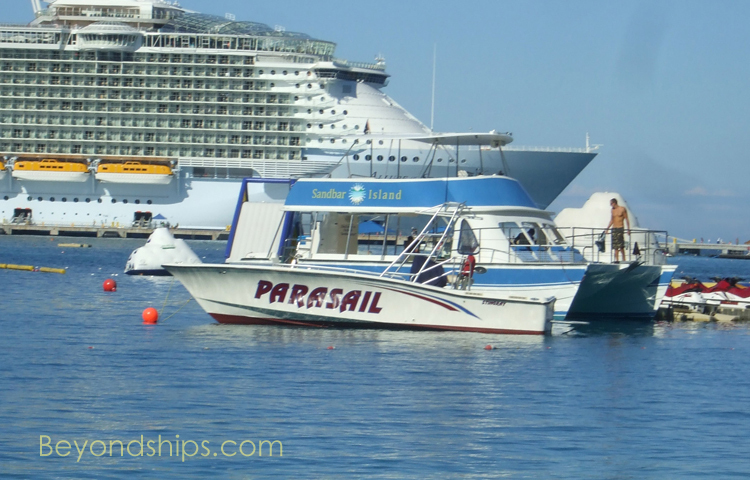 Tickets for the latter can usually be purchased in advance on the ship. 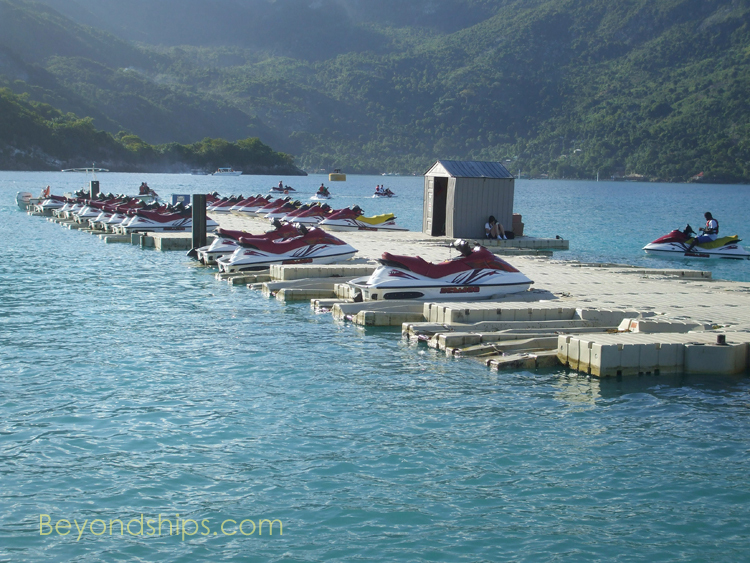 (See shore excursions that were offered on one cruise to Labadee). 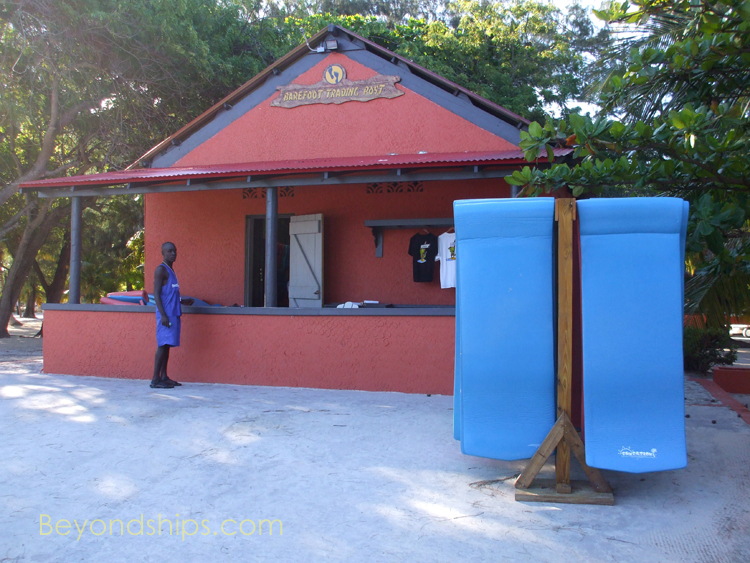 There are also ticket desks at the resort. 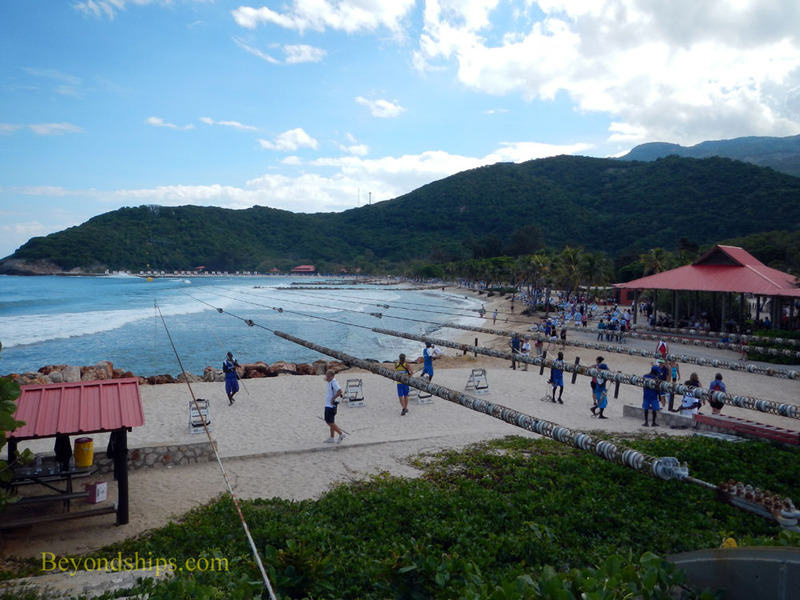 The most dramatic and best known of the sports facilities at Labadee is the Dragon's Breath Flight Line. 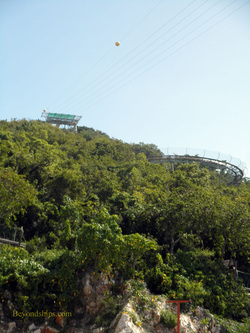 This is a zip line more than 2,800 feet long that takes riders from the Labadee Bastion, a hill 500 feet above the beaches, over the wooded slope, and then for a substantial distance, over the sea to Dragon's Breath Rock. 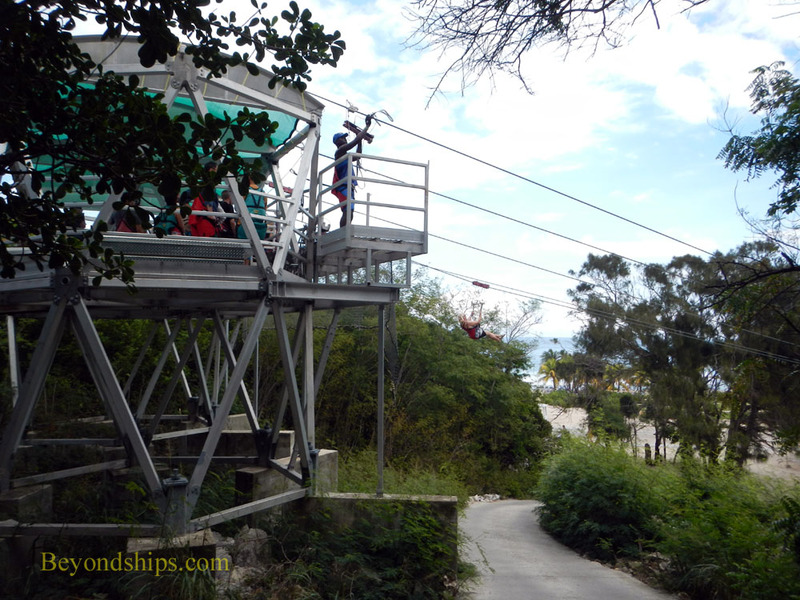 line in the center of the Labadee peninsula. 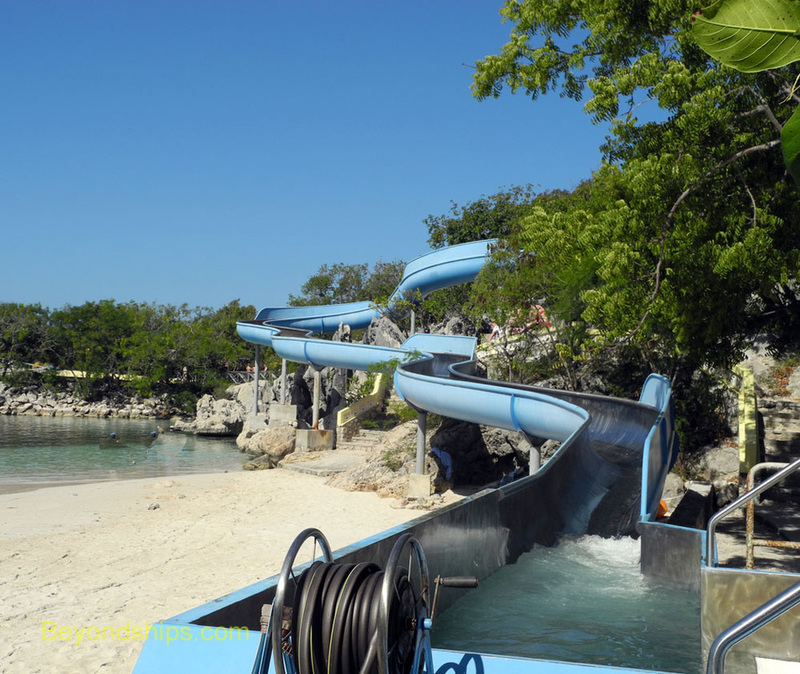 The Dragon's Tail Alpine Coaster is a roller coaster ride that takes guests at speeds up to 30 miles an hour down the Labadee Bastion hill to Adrenaline Beach, through the tropical foliage. 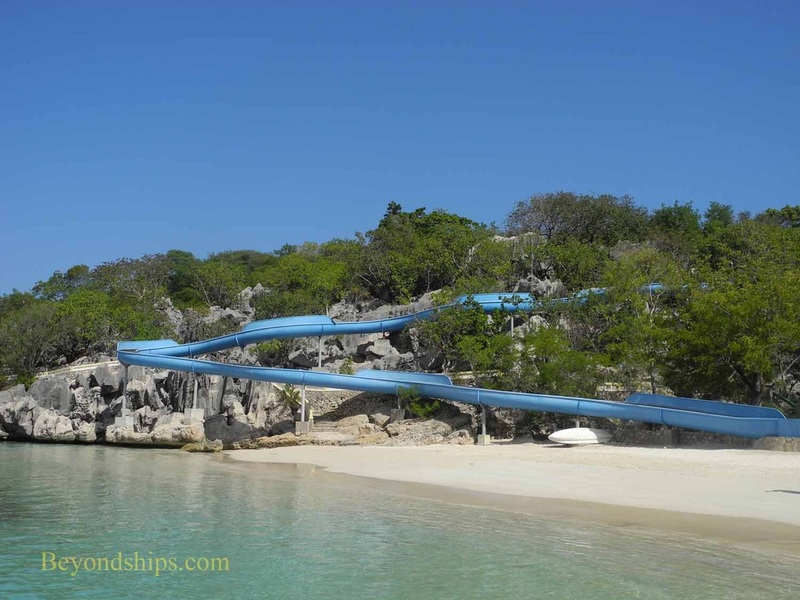 Near the Columbus Cove beach is the long Dragon's Tail Waterslide. 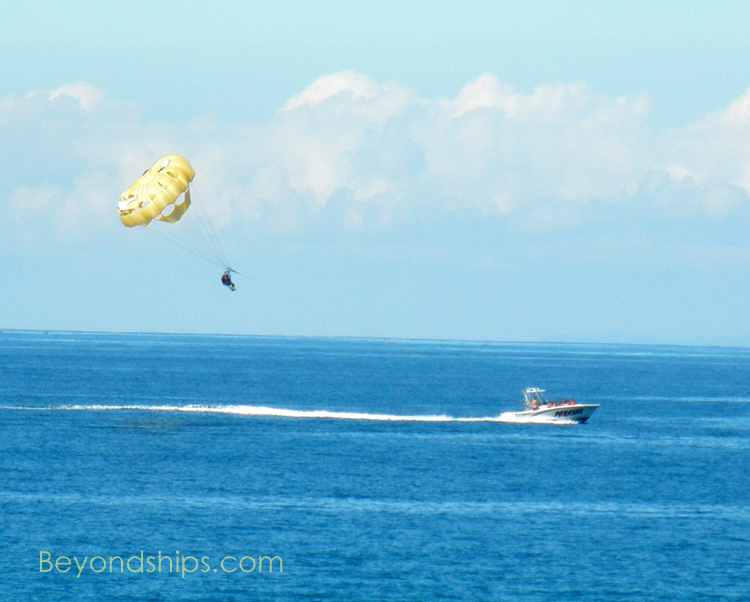 speed boat can rise up to 400 feet above the sea utilizing a parachute-like device. 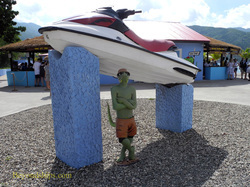 speeds up to 45 miles an hour on Wave Jets. 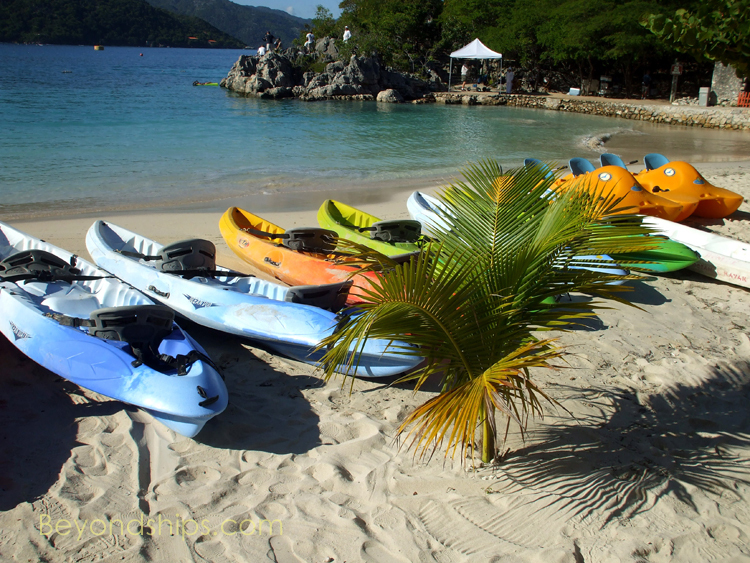 a calmer pace, there are kayaks and other human-powered water craft. 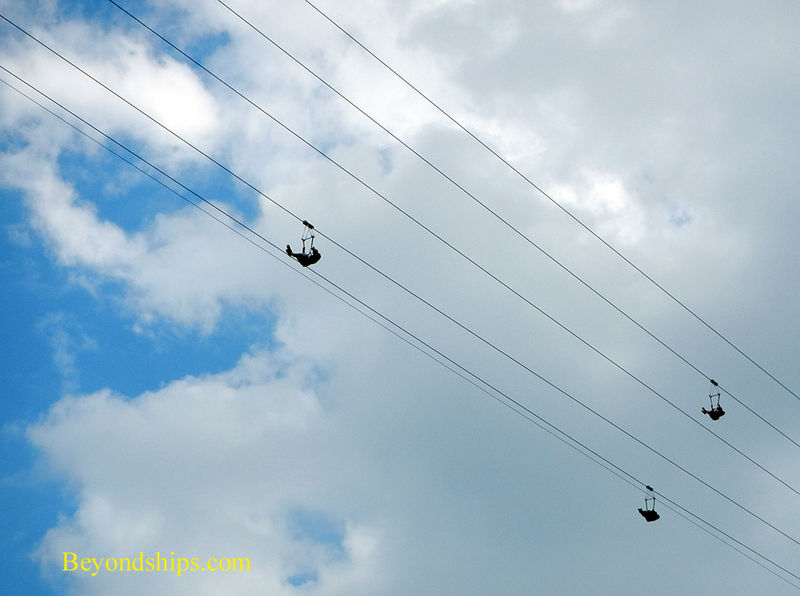 For just drifting along, there are floating mats. 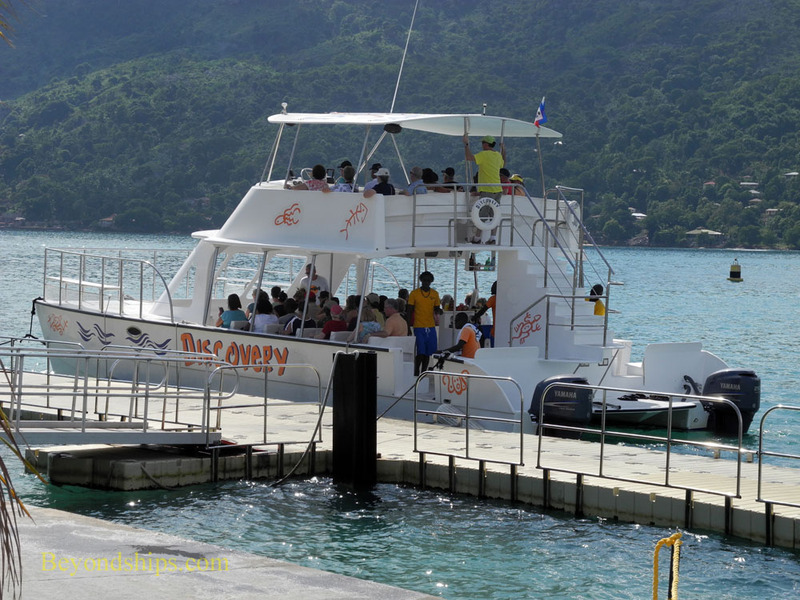 In addition to the aforementioned, Labadee also offers snorkeling tours, history walking tours, and various types of cruises to nearby locations. 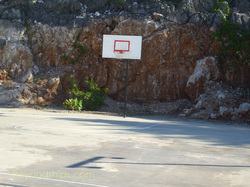 Labadee also has facilities and activities for children. 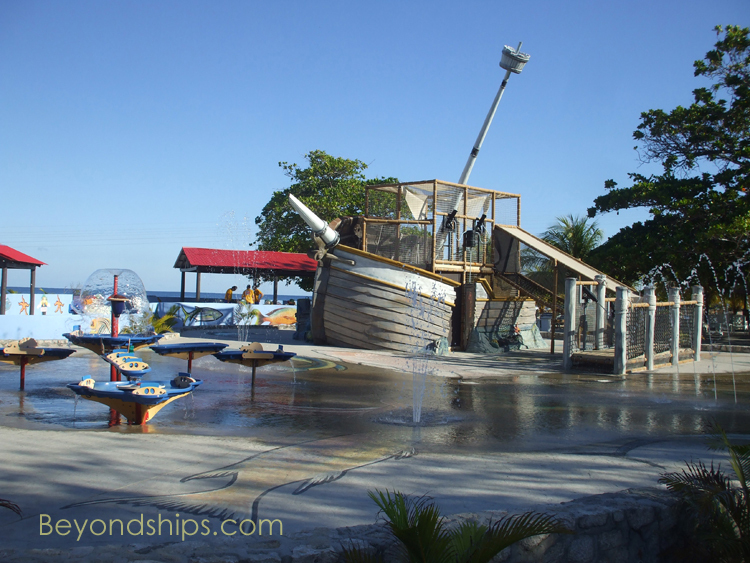 The Adventure Ocean Oasis (right) is a children's water park with fountains and water jets as well as the "wreck" of a pirate ship. 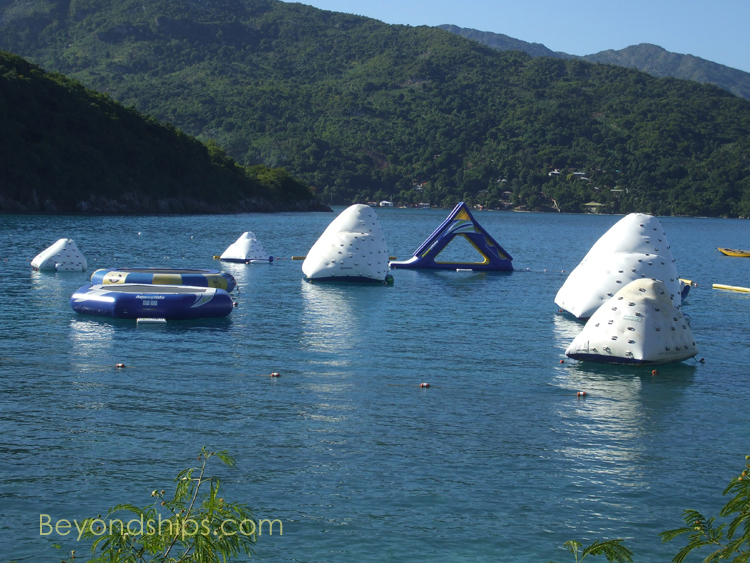 The Arawak Aqua Park (below and below right) has floating trampolines and floating "icebergs" to climb upon.